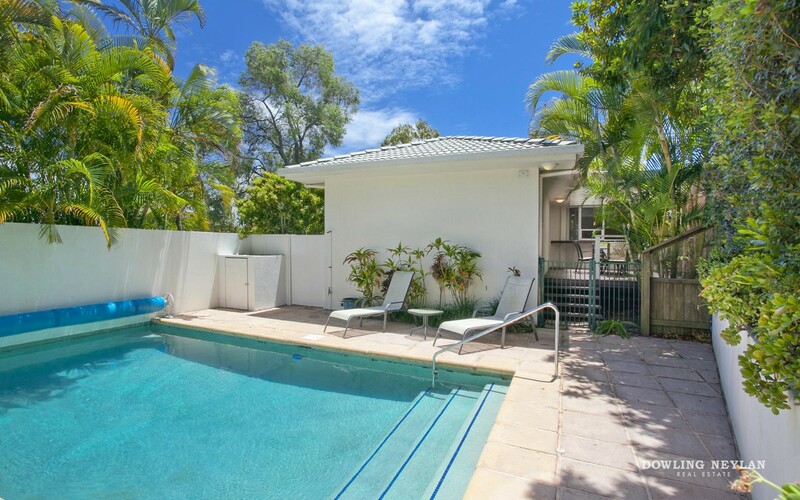 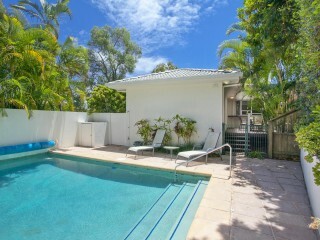 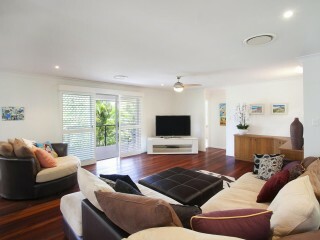 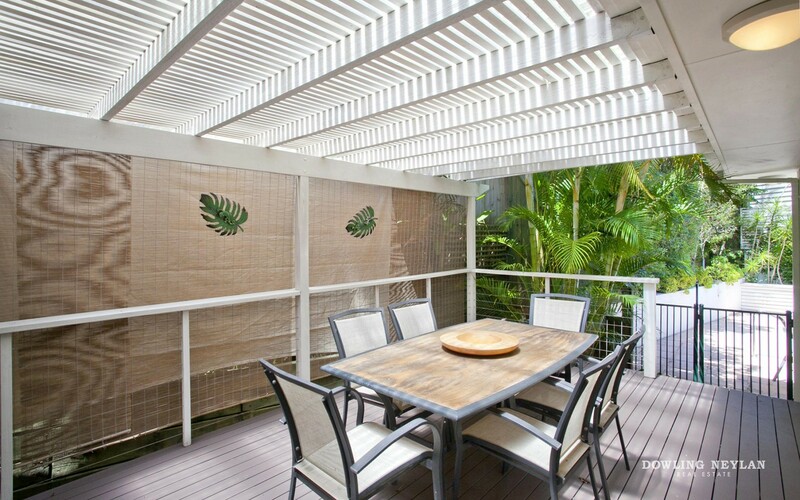 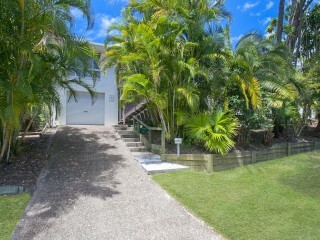 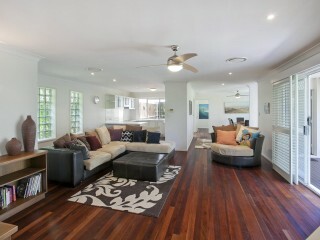 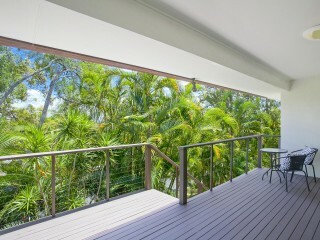 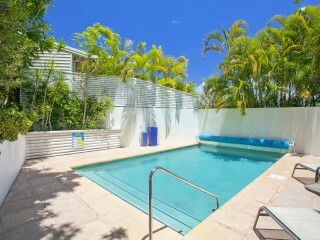 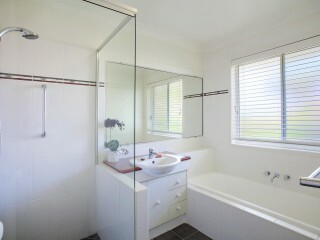 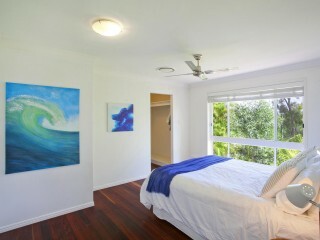 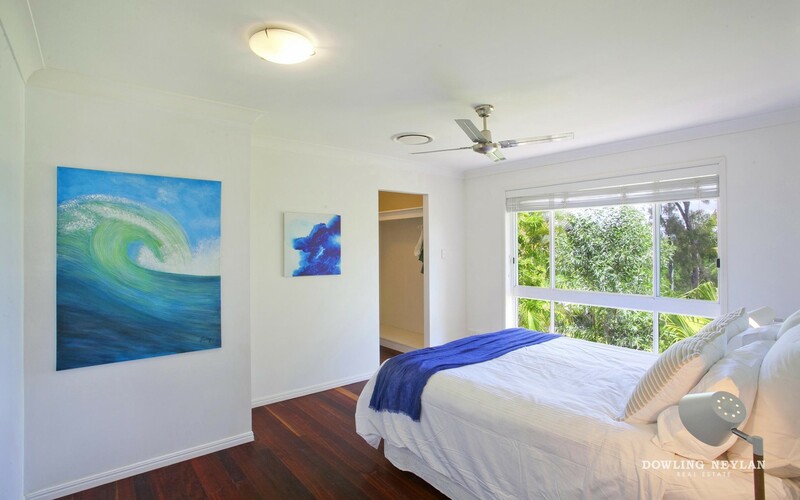 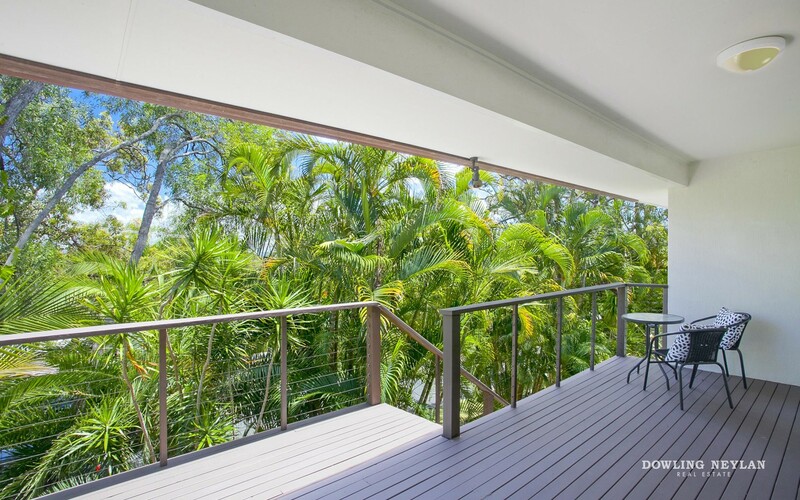 Located in central Noosa Heads and elevated on the high side of the street, this Noosa holiday home is exceptionally private yet offers convenience to everything that makes Noosa so special. 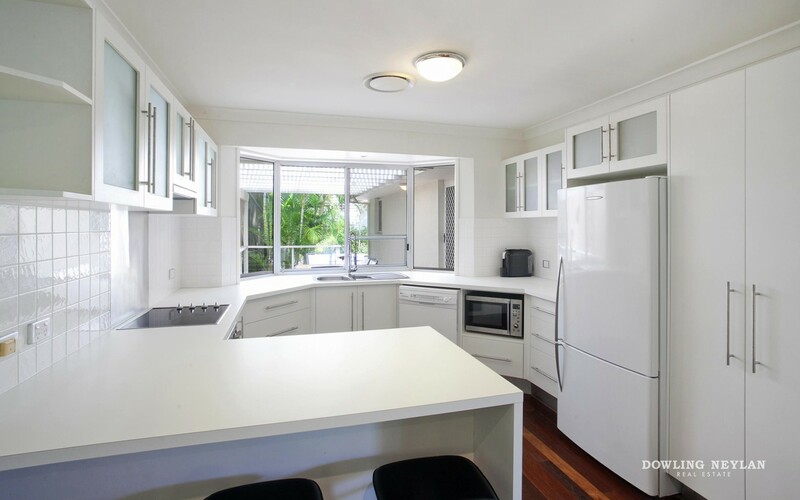 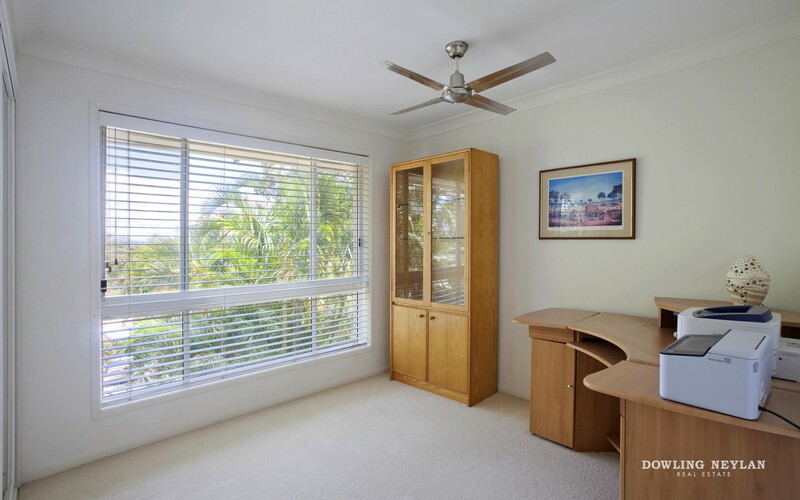 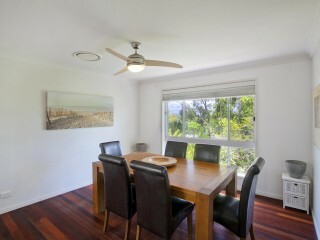 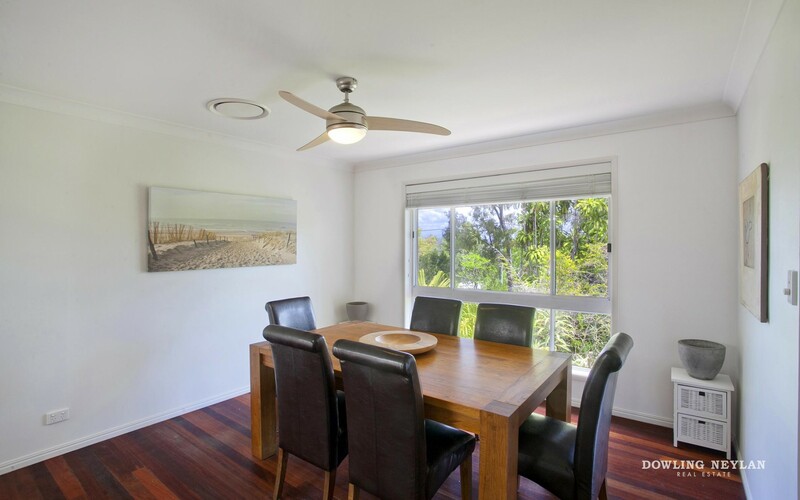 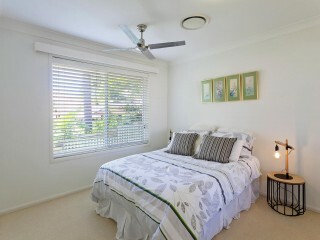 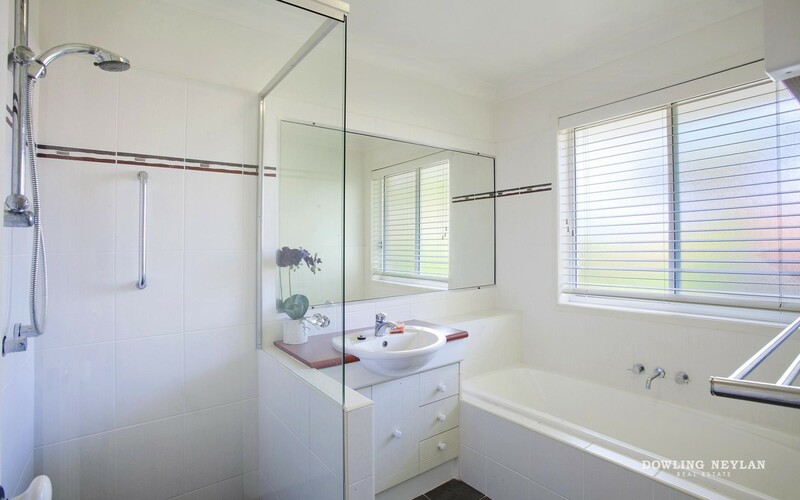 The local Farmers Market and Noosa Junction are walking distance away and it's a bike ride to local schools or a 3 minute drive to Main beach, Hastings Street shopping and restaurants. 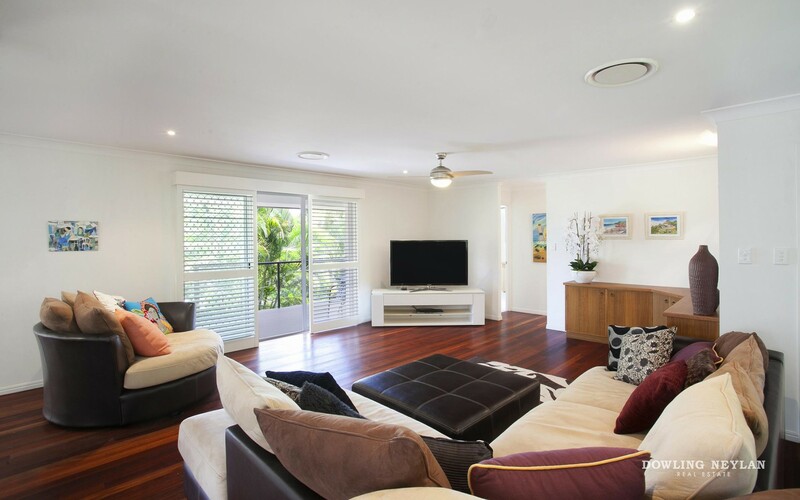 Leading up a short flight of stairs, to a large sunny deck, the house opens to a spacious living area with polished hardwood floors that creates a welcoming ambience of warmth. 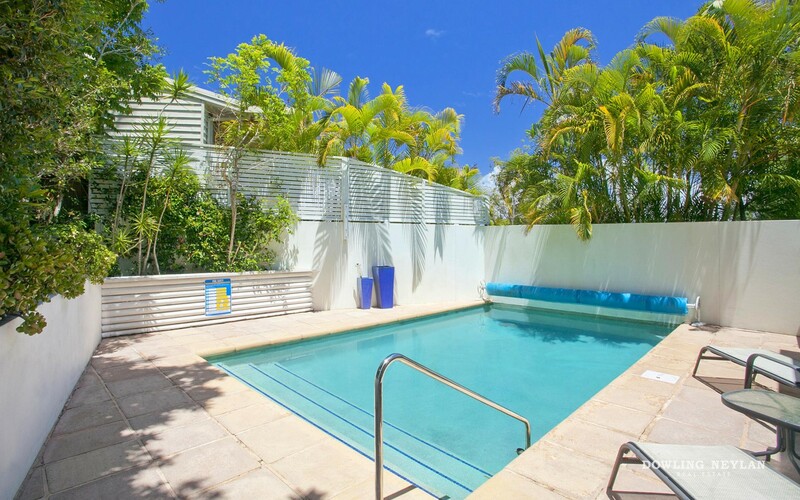 The centrally located and well equipped kitchen looks out to a covered outdoor area and leads to a sun drenched ionised and eco-efficient pool. 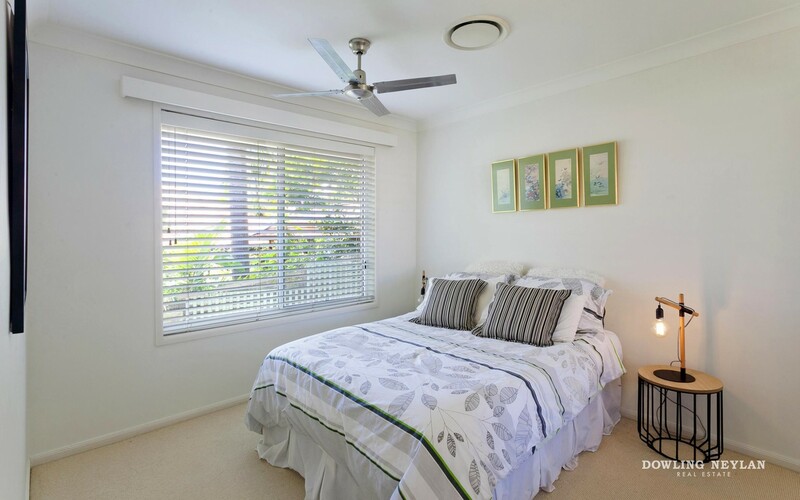 The floor plan flows easily and works very well here as the master bedroom and ensuite is located on one side of the house and the other 2 bedrooms plus bathroom are at the other end of the house. 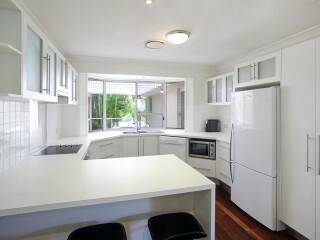 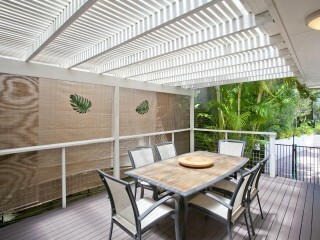 Living and dining areas flow outdoors and gives a little separation where required. 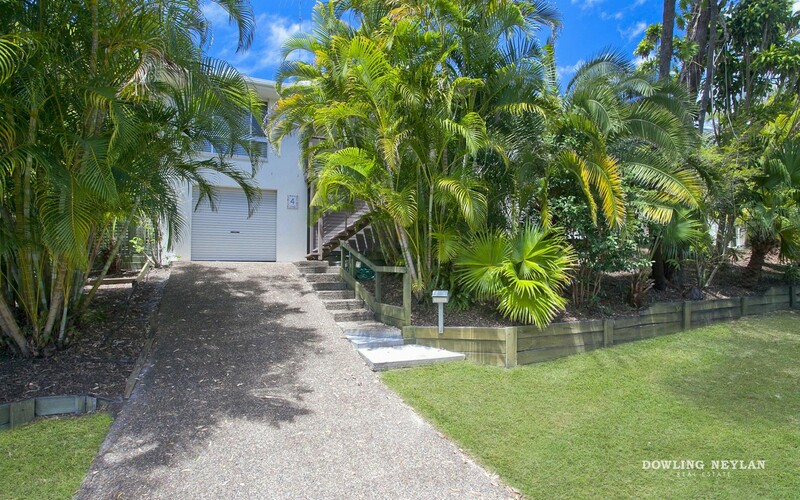 A solid block brick construction and very sound, the home offers fully ducted air-conditioning, multiple covered outdoor decks and a large sun drenched swimming pool this home is low maintenance with established gardens and lush leafy surrounds offering exceptional privacy. 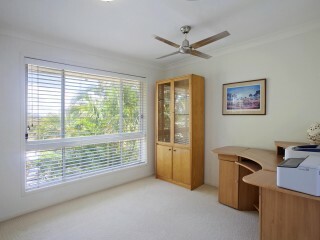 A tandem garage with room for two vehicles is located under the house, with plenty of storage space. 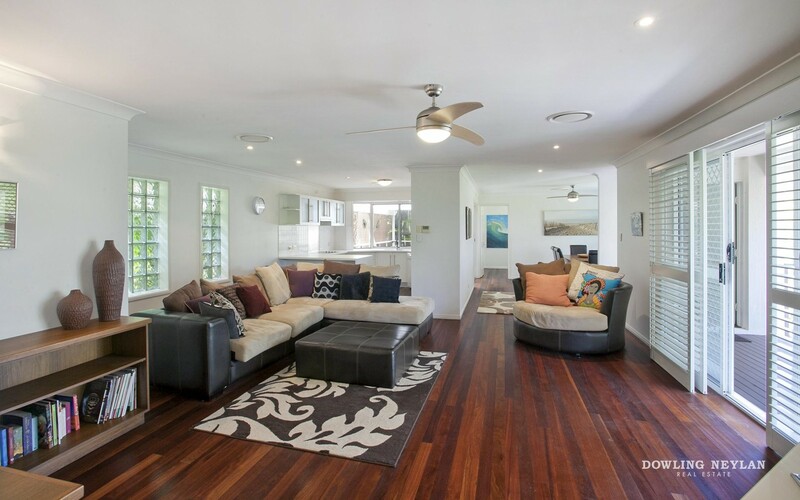 Inspect today to see for yourself the outstanding value on offer and the attractive combination of space, light, and easy balance of private areas and entertaining spaces that creates this desirable home.